This nest atop a speaker on our back porch has sheltered a few families this summer. My youngest was born in August twenty-three years ago. And while the birth of a book baby pales in comparison to that of a live human, I can report some anxiety and nesting activity in advance of the August 15 arrival of my second book, AT WAVE’S END. At least my feet aren’t swollen this time! My publisher is giving away 100 Kindle copies of AT WAVE’S END on Goodreads here. Please remember to add my August release to your Goodreads TBR! I’m giving away three signed paperback copies of my debut novel, DELIVER HER, on Goodreads here. Enter by July 23, 2017. 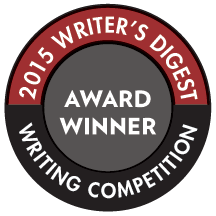 Did you know that AT WAVE’S END was inspired in part by a “Win a House” essay contest? Read how this competition led to a novel. Thursday, August 31: 6 pm, BookTowne in Manasquan, NJ. More dates to come. Event updates here. One last thing: Thank you for all of your support. None of this would be possible (or worth it) without you, my readers! On that note, I’m looking for several more readers to join my advance review team, or “street” team, as they say in the biz. These readers post honest Amazon and Goodreads reviews in trade for free books, pre-release copies, and other goodies. If you’re interested, leave a comment below with your email address, or email me at patriciapdonovan@gmail.com. P.S. I encourage you to visit the newly launched Lake Union Authors Facebook page, where my fellow LU authors and I share book news, giveaways, sneak peeks and more. It’s a great venue to chat with writers, discover new reads in women’s fiction, historical fiction, suspense and more, and get the stories behind the books. I’m hosting the page the week of August 13…come visit! Me at the Jersey Shore in the late seventies with two of my five siblings. Remember that day at the beach? That July day the sand scorched your feet, the seagulls snatched your lunch, competing radios blared Top 40 hits, and sun worshippers obediently turned over at Cousin Brucie’s command to “roll your bod”? And last week, on a balmy beach night at The Asbury Hotel, seven individuals from all walks of life bravely recounted their transformative seashore adventures during the Jersey Storytellers Project. Later, as a Rutgers University student, he would drive down to the Manasquan inlet at night and climb into a lifeguard chair to clear his head. “I didn’t need to be rescued,” insisted Cynthia Sallinas, the Asbury Park Press storytelling coach who earlier in the evening confessed to me her terror of getting on stage. And, true to her word, Sallinas didn’t require any assistance as she fearlessly described the day she put some male surfers in their place as she swam off a Costa Rican beach, wowing them with her backstroke. Sallinas did accept one piece of advice they offered, however: pee in your wetsuit to stay warm in cold water. Self-described spoken word poet and hip-hop artist Chris Rockwell lamented the disruption of beach life once MTV’s “Jersey Shore” came along, clogging Seaside Heights with camera crews that limited parking and slowed traffic. As if to emphasize that point, Rockwell ended his story right there and broke into song. The night’s storytellers also included Elizabeth “Boo” Trundle, MOTH StorySlam winner and author of Seventies Gold, and Earl Jones, a YouTube rapper. Laura Burns, New Jersey Educator of the Year. But in my opinion, at least, the night’s story about a day at the beach belonged to Laura Burns, a Hazlet teacher and New Jersey Educator of the Year. Because who doesn’t remember falling in love at the shore? Laura’s day at the beach began in Lavallette the summer she was nineteen and about to start college. “It was so early, I remember the sand still being cold.” She spotted a cute guy in the ocean, a guy so cute she decided to ditch a boyfriend arriving later that day. “I just met this guy and I’m going to marry him,” she told her mother before setting off on a stroll with him. At one point during her story, Laura pointed to her “guy” Owen, who leaned against a back wall of the hotel conference space, listening. Riding the perfect wave, flirting with a guy in the water, and falling in love. If that’s not a perfect Jersey beach day, I don’t know what is. Got a story to tell? The next installments of the Jersey Storytellers Project are scheduled for October 12 (On Love and Loss) and December 13 (Home for the Holidays) at 7 pm at The Asbury Hotel, 210 5th Avenue, Asbury Park. Every visit to Asheville inspires, and our latest trip was no exception. An April run took us along a well-worn trail beside the Swannanoa River. The path dipped and wound and climbed, past an outdoor grotto wreathed in wedding tulle, rock walls frescoed with Mandalas, a lush bamboo forest edging Warren Wilson University. Near the end, we encountered a painter, his easel angled against the river, his palette clutched to his hip. We stopped to admire his work, and he graciously permitted me to take his photo. He had begun this landscape one year ago in this very spot, he explained, and had returned this day to complete it. After wishing him well and resuming our course, I considered the idea of coming back to something (or someone) after the passage of time, of picking up at the exact point of detachment. Would it be difficult to find one’s way back? Would fresh eyes and perspective enhance the encounter, or might preconceptions cloud the view? Certainly it is simpler to cling to initial impressions than to step back and discern the new growth time has fostered. Our artist was courageous to do the latter, I decided. He might easily have finished his painting in the comfort of his own studio, relying on memory and his mind’s eye. But think of the details he might have missed! In terms of my own writing, I’m alternately amazed and appalled to exhume an old piece. Frequently, reading an early draft make me squirm. But the passage of time permits me to reapproach the work, tentatively at first, then more confidently, bolstered by my experiences during this interval. Like the riverside painter, I’m reinvested. I honor my work’s potential, acknowledging its warts as well as its buds of maturity. I clear away dead branches to get to its bones. The final picture may not be what I initially envisioned, but it is one I can embrace wholeheartedly. Nature isn’t perfect, and neither is art. Individuals are works in progress. Happily, life provides frequent do-overs, those rare second chances to revise tired impressions. And in those moments, should you determine that nothing serves you, give yourself permission to start fresh with a clean canvas, a blank screen, a new conversation. Nothing calms an author’s nerves more than a sweet dog at their feet. How do you recognize Belmar Library? Easy: it’s the one with an eight-foot replica of Bruce Springsteen’s legendary Fender Esquire guitar on its lawn at the corner of (wait for it) 10th Avenue and E Street in Belmar. Belmar Library is also known for its “Breakfast with the Author” series. And there were all sorts of book lovers at my DELIVER HER presentation last week, including the four-legged variety. Winston, the mascot at this Monmouth County, New Jersey library, proved friendly and attentive as I recounted my publication journey. It was a great occasion to celebrate the one-year birthday of DELIVER HER’s launch. Breakfast and books go together at NJ’s Belmar Library. See you this fall with AT WAVE’S END. I want to send a heartfelt “thank you” to the Belmar Library staff and all who attended. I’m very excited to return this fall to share the story of my second book, AT WAVE’S END, coming August 15, 2017. Happy first birthday, DELIVER HER! Enter to win one of five signed, personalized paperback copies. It’s hard to believe, but one year ago today, my debut novel DELIVER HER officially launched. And what better way to celebrate my book’s first birthday than by giving away a few presents? To kick off the festivities, I’m giving away FIVE signed paperback copies of DELIVER HER, the tale of a headstrong mother who goes to extreme lengths to rescue her out-of-control daughter. To enter, simply sign up for my new newsletter between now and midnight EDT on Saturday, May 13, 2017. I’ll announce all five randomly selected winners the following week here and in my newsletter. Secondly, to sweeten the celebration, the U.S. Kindle edition of DELIVER HER is only $2 for the entire month of May. However you decide to celebrate this milestone, I want to thank YOU, my readers, for your encouragement, support and feedback. The year’s jaunt has been incredible, with more detours, twists and turns than Carl and Alex’s wild ride in DELIVER HER! I hope you’ll continue this literary journey with me for years to come. Next stop: AT WAVE’S END, arriving August 15, 2017! You can pre-order this story of a woman who wins a ramshackle bed and breakfast at the Jersey shore in the weeks leading up to a major hurricane. One entry per person, open to anyone aged 18 or over. This contest is open to U.S. and Canadian readers. Five winners will receive a signed (and if they wish, dedicated) paperback edition of DELIVER HER. Winners will be contacted individually for their postal address. The deadline for entries is midnight Eastern Daylight Time on Saturday, May 13, 2017. Looks like I loved a party (AND bangs!) from a very early age. I’m so excited to finally reveal the cover for my second novel, AT WAVE’S END, coming August 15 from Lake Union. It’s the story of a woman who wins a down-and-out inn at the Jersey shore…weeks before a major hurricane. A funny thing about the scallop shell she’s holding: while it doesn’t literally figure into this story, one of my sisters said this shell can be traced back to early European pilgrims, and signifies the starting point of one’s journey. When all the lines meet at the base of the shell, you’ve reached your “meant to be” place. So it turns out this scallop shell is an apt if unintended metaphor for Faith and Connie Sterling’s journey to Wave’s End. I know August feels like a LOONG way away, but you can pre-order AT WAVE’S END and squeeze in this beach read before summer’s end. Enter by MIDNIGHT TONIGHT to win a signed, pashmina-wrapped copy of DELIVER HER. Greetings, Tweeters! I hope you’re having as much fun as I am connecting live with fellow Lake Union readers and authors. To celebrate this epic inaugural Twitter chat with my kindred Lake Union authors, I’m giving away two signed prizes: an audiobook and paperback copy of my debut novel, DELIVER HER. Not only that, but each prize comes draped in a luxurious violet pashmina (whose significance you’ll discover once you read the story). In DELIVER HER, a distraught mother goes to desperate lengths to rescue her out-of-control teenage daughter. But when the secret transport she arranges goes awry, Meg Carmody is forced to account for her actions. Simply leave your name in a comment field below this post by MIDNIGHT EST tonight, March 7. Open to U.S. and international readers alike! I’ll randomly select the winners and post the results by Friday, March 8. Don’t wait! This contest closes at midnight EST tonight, March 7. AND BEFORE YOU GO… my second novel, AT WAVE’S END, comes ashore on August 15. The cover should be ready for unveiling any day. For updates on this new release and beyond, subscribe to my blog by entering your email at the top of this page. Greetings, readers! Today is World Book Day, so I’ve been enjoying a peek at some of the most beautiful libraries in the world. My own books are scattered throughout my house: old favorites on basement bookshelves, writing resources close at hand, my “to-reads” a teetering stack on my nightstand. I’m currently reading “My Grandmother Asked Me to Tell You She’s Sorry” by Fredrik Backman (author of “A Man Called Ove”). It’s the story of a VERY eccentric grandmother who creates an elaborate fantasy world for her seven-year-old granddaughter Elsa. And when she dies, Granny leaves Elsa a very challenging legacy: deliver a set of letters apologizing to people she has wronged. I’m intrigued to see where this story will go. So far, Granny is still alive and (spoiler alert), she’s already sent Elsa to feed chocolate to a dog. I have a feeling she’s going to have a lot more to apologize for. What are you reading on World Book Day? 30+ Lake Union authors will take questions and award prizes during a March 7 Twitter chat. Mark your calendar for an EPIC Twitter chat with 30+ bestselling authors. On March 7, more than 30 Lake Union authors (including yours truly) will answer questions, give away books and prizes (including um, maybe a paperback and audio version or two of DELIVER HER)? and offer an inside look at the writing life. Now’s your chance to pose all those questions you’ve been dying to ask this diverse, talented group of women writers: What made you write that story? Is your book based on real life? How do you cope when writer’s block strikes? Don’t miss out on unique author giveaways during the March 7 Twitter chat. FYI, my official chat slot is 8:15 to 9 pm EST, but I plan to arrive early so as not to miss any of the festivities. Hope to see you there! Why am I reviewing films when a stack of books beckons? Because it’s Oscar season, and movies, even the short ones, speak volumes about storytelling. Like short stories, short films have only a limited window in which to engage their audiences. And like their literary counterparts, short films generally cede the spotlight to their more sophisticated brethren–in this case, the feature-length movie. So, departing from Oscar’s front-runners for a moment, I want to share the gems in this year’s Live Action shorts category, which we consumed recently in one sitting at the Asbury Park Showroom. I’ll begin with two that examine the globally contentious issues of refugees and immigration. Whatever your stance on walls and travel bans, these films will give you pause. In the first, “Enemies Within,” an Algerian man’s request for French citizenship rapidly spirals out of control as he bargains for his life and his family’s. Although set in the late 1990s, this timely French film captures the terror and paranoia that threatens to taint our collective consciousness. A third short film, “Timecode,” starts out slowly, but before long, the seconds fly by. (You’ll have to watch it to appreciate this last comment.) Once you have seen it, you’ll no doubt glance over your shoulder the next time you leave your car in one of those mammoth, multi-level parking garages. If you’ve ever wanted to exact revenge on a mean teacher, then by all means seek out the Hungarian short film “Sing,” in which an elementary school chorus prepares for a singing competition. You’ll root for the underdog in this universal story of friendship and making your voice heard. Finally, there was “La Femme et le TGV,” a bittersweet tale inspired by true events. Fans of “Chocolat” will savor this Swiss journey of the quirky Elise (played by the iconic Jane Birkin) and her love affair with a “train of grande vitesse” (high-speed train). Not that it counts for much besides some movie passes I might win, but on the Showroom’s paper Oscar ballot, I ticked the box next to the candy-colored “La Femme et le TGV.” In a world changing at a speed rivaling that of the TGV hurtling past Elise’s house, I couldn’t help but root for her. After reeling a bit when life changes course, Elise resolutely hops back on her bicycle in pursuit of her dream. If that’s not a Hollywood ending we can believe in, I don’t know what is.